The second half of every year is special because after a dry spell of no holidays during the summer and monsoon months, we get an overdose starting September. The true spirit of the season kicks in with Ganesh Chaturthi followed by Navratri, Diwali and Christmas. This year is no different. Ganesh Chaturthi falls right in the middle of the week, on Wednesday. Huge, tall colorful Ganeshas arrived by the roadside a week earlier complementing baskets and baskets of yellow and orange marigolds lining up the streets. This is what I love about India – the sights and sounds are far from being monochromatic and a reminder that life is a celebration. If there’s no chaos, how much fun can it be. Every year, it’s the mann pulayar (made of mud) who comes home for the festival but he is there in other forms throughout the year – from glass murals and brass to a huge carved sleeping ganesha. If you’ve been wondering where you can see and get a finely painted ganapati on glass or an exquisitely carved one, look no further than Eka. 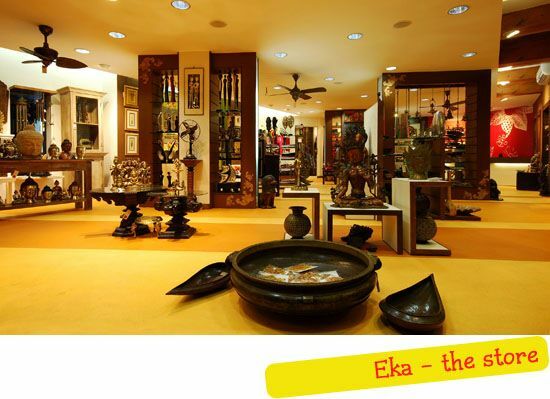 This post is about Eka – a store that is famous for its Ganeshas. For a decade, I’ve been mesmerised about the terrific variety on display at the store around this time of the year. Name it – color, form, size and you’re sure to find it. Here are snippets of my conversation with Eka’s owner – the lovely Kimiko. And yes, ready for a store tour? 1. What does Eka mean and when did the store open? How has it grown over the years? How did the idea to open the store come about? EKA originates from the Sanskrit word EKAM meaning singular or one of a kind. In keeping with our name, we strive to bring forth products that are singular or unique in nature. From a very humble beginning in April 2000 when we first opened our doors, Eka has come a long way. We are now among the leading lifestyle stores in Bangalore and have infact been featured among the top 60 small stores of the world. 2. I understand Ganesha is a special time of the year at Eka. How did the idea come about for your first exhibition? My husband Kenneth Menzies is a Ganesha aficionado and has an enviable collection of Ganeshas. 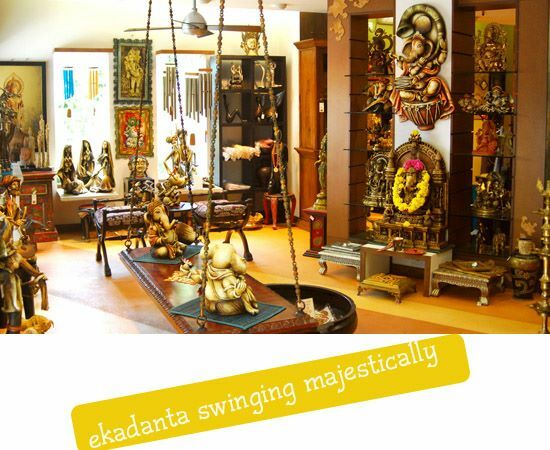 When we started Eka, we were determined to bring to Bangalore the most fabulous Ganeshas from all over the country. Thus the idea of “Celebrating Ganesha” – our annual tribute to the God of all things came about. Eka has hosted this promotion every year since 2000, and our collection has become more exquisite and varied over the years. 3. Where do you source your products from (inhouse or otherwise)? Any specially proud stories to share with the readers? Eka is proudly Indian. 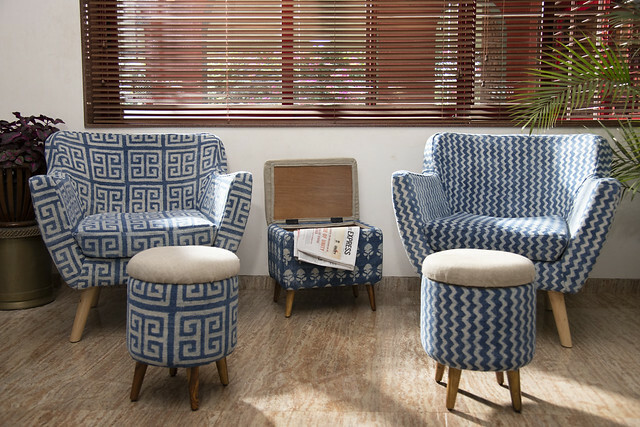 All our products are locally handcrafted from natural materials and sourced directly from traditional artisans, NGOs engaged in preserving Indian art forms or select export manufacturers who custom craft products to our designs and specifications. Which is why, many of our products are exclusive to Eka. And all of them have stories to tell. Stories that truly reflect India’s heritage of art, craft and culture.We support our artisans and craftsmen with design intervention and process improvement inputs to upgrade their native skills. 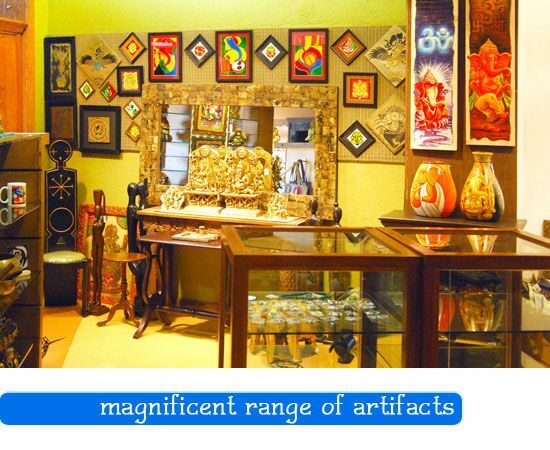 At Eka, we are committed to bringing forth unique, high quality and design rich products at value prices. Products that both preserve and interpret traditional and tribal crafts in a contemporary context so as to enrich global lifestyles. 4. What are your favorite pieces from the store (apart from Ganesha)? Ganeshas are by far everyone’s favorites. And Eka is everyone’s favorite destination for Ganeshas. Rustic Muse – our range of sculptures and murals crafted in cold ceramic are perhaps a second favorite. 5. 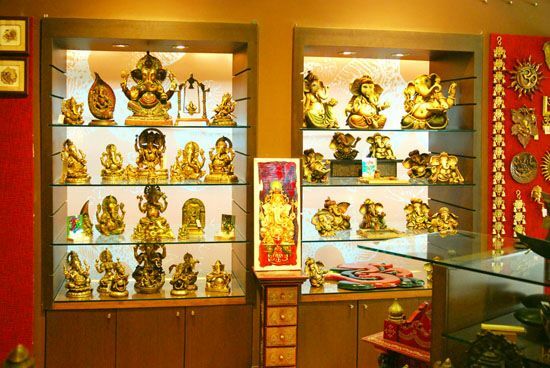 What kind of Ganeshas do customers prefer to buy? In myriad forms, varied mediums and styles which are often unique to Eka, our Ganeshas are a collector’s delight. 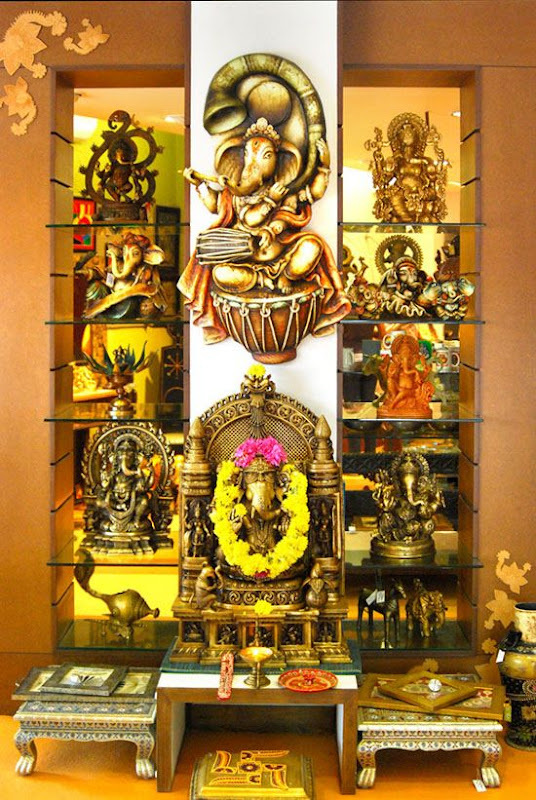 Ganesha collectors from all over visit us for the more unusual Ganeshas. 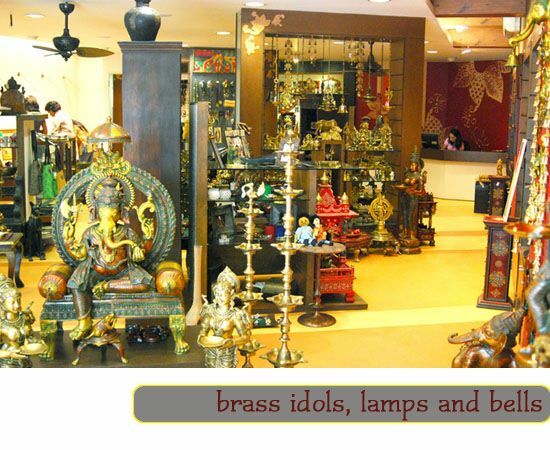 Brass Ganeshas are very popular as gifts for auspicious occasions. Beetlenut and Navadhanya Ganeshas are preferred as gifts for any occasion. 6. Finally, do you have any decor advice to give from your years of experience? Your home or office is your comfort zone and should be a true reflection of who you are. Follow your heart and surround yourself with what you love. Let your decor be a source of happiness and inspiration. Been there last evening. Ammmazing range of artifacts they’ve got. Surely recommend if you really want to dress your home! Thank you for sharing so many beautiful shops in Bangalore – I will be there for about 12 days in early-mid November – plenty of days to shop while my husband works! ;) My list of places to go is getting longer, and definitely I'll stop by Eka! Deb: I hope you have a wonderful, shopping-filled days during your stay here.